It’s very disappointing when you damage kitchen cupboard door during installation. It happened to very professional kitchen unit fitter in Mayfair, West London. He accidentally chipped corner of cupboard door. It was impossible to find cupboard door for replacement. He called our London surface repair specialist. We fix any damage, chip, scratch to kitchen units in any London’s district South, West, North and East. 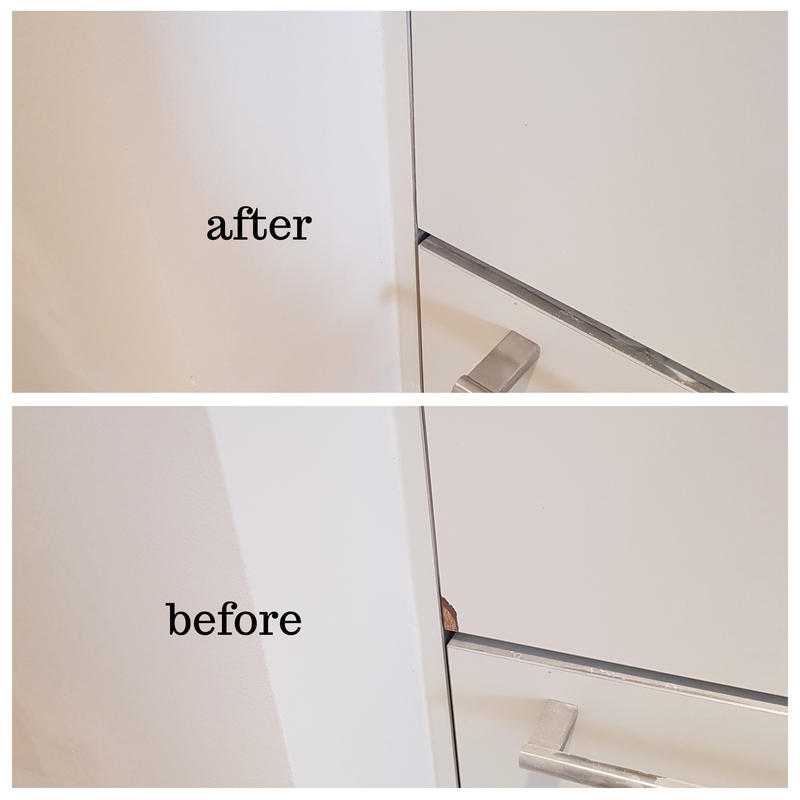 After we repair chipped cupboard door – it looks like brand new. Another happy costumer in Mayfair.